June’s MTC interview is with 25 year old Corrine Malcolm from Bozeman. 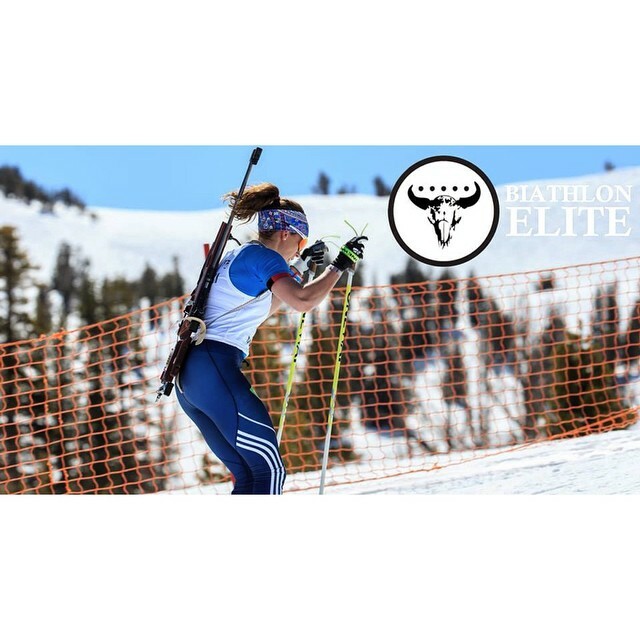 She is a runner and biathlete who just graduated from Montana State University with a degree in exercise science. Before heading to graduate school, Corrine took this year off from school to concentrate on coaching youth biathlon and running. She presently is working as a youth biathlon coach for the Bridger Biathlon Club in Bozeman. She said it took her 7 years to graduate from school, but she took 3.5 years off to race as a member of the US National Women’s Biathlon Team. Thank you Corrine for taking the time for a MTC interview. Why do you love trail racing? I love trail running because it’s technical and engaging running. I really struggle to run on the road unless I have a really good distraction. I also love the trail racing community. They are incredibly inviting and supportive; I think it attracts a different crowd then competitive road racing. What are you goals for the season? My main goal for the season is to stay healthy. I’ve really struggled with injury over the last couple of years. I got terribly sick from training too much with the National team and I don’t think I came back to training slowly enough. I realized the other day on the run that I finally felt fresh again. Funny enough I think I still have a high school record in Wisconsin for the 400 on the track. No one would guess I have that leg speed. I honestly do not have a list of running results by any means. I’ve done well in a handful of events, but I hope to add to that list this summer. Let’s just say I don’t win very often, but I do have a lot of fun! What I have accomplished sports-wise comes mostly from biathlon and nordic ski racing. I’m a multi-time junior national champion, and got a podium finish at European Championships as well. 1) Hill sprints into a 20 minute tempo. Generally a 20 minute warm up followed by 10-12 x 60 second hill sprints with a short jog recovery, after the last hill repeat you continue directly into 20 minutes of tempo running. Finally, ending with 20-30 minutes of easy running. 2) Down-hill progression run. This has been great for working on my tempo. Generally 45-60 mins of easy running up hill. This is the turn around point. On the way back down the goal is to negative split the entire second half of the run. For me this means cutting down miles (5-7 miles total), the last time I ran this starting at around 6:45/mile pace and cut down to around 5:50/mile pace over 6 miles. I’m currently working with David Roche for my training and he is awesome! I’m not a big mileage runner, as I’m prone to injury. I generally run 40-50 miles a week with plenty of cycling throughout the week on top of that. With school this spring I was only training 9-10 hours a week. Every Monday I have completely off, which is important for keeping me healthy. Tuesday-Thursday change a bit every week, a bit of easy running, hill repeats, short speeds, and downhill intervals are the norm. Fridays are either a shuffle (truly shuffling, 9:30-10/mile pace) run or a bike ride. Saturday or Sunday is a long-ish trail adventure run and the other day is either a bike, easy moderate length run, or more tempo style intervals. That’s really hard! I think my favorite trail race is probably The Great Adirondack Trail Run. It’s a 12.5 mile point to point race in Keene Valley New York. Because the trails are so narrow and technical it is an individual start race. It climbs for the first 8-9 miles before descending back down to town and it has a really great bog section. I lost a shoe one year in the bog and spent a bunch of time waist deep searching for it. Growing up I spent a summer building mountain bike trails in my home town, Hayward Wisconsin. They definitely hold a special place in my heart, as it’s where I first found trail running…. That and I poured hours of sweat into building them. I also really love the trail running in and around the Marin Headlands in California. The whole trail running community inspires me. I get to share the trail with some truly outstanding people from all walks of life. Getting to watch them accomplish such amazing personal feats inspires me on a daily basis. This really isn’t just about racing, but training, the whole picture. During the time I raced biathlon I was always pushing to hard trying to keep up. I was terrified to underperform, to not be able to keep up, to rest. I felt like the finish line was constantly moving and I was never going to get there. It took a tool on me both physically and mentally and deciding to step away from racing for a bit was incredibly hard. It felt like quitting. I know now more than ever that I can’t treat my body like that and expect it to perform or even function. Although it was a dark and difficult experience I am a stronger, more balanced, and more grounded human being. Describe the most memorable race experience and how did it allow you to grow as a runner? This past fall I won my bodyweight in beer at a race. 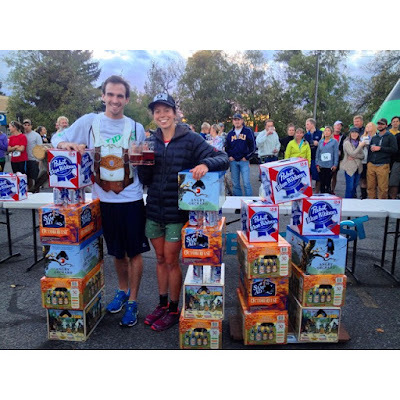 It dawned on me in the final kilometer that I could win all the beer, and I thought to myself, “The beer is yours!! !” and just started laughing out loud to myself as I hyperventilated. Truthfully, my room-mates were more excited about it than I was, but it was my first race in 6 months and I was healthy and happy. Realizing I was healthy was thrilling! I was offered citizenship to two different countries to race as a cross country skier. I would describe it as balanced and flexible. I love to bake, and often joke that my two favorite food groups are sourdough bread and butter. I don’t restrict myself in anyway, lots of vegetables, good protein, and heart grains and seeds. And cookies, plenty of cookies. Cookies… but truthfully, cross training. I ride a cross bike or a mountain bike during the summer, fall, and spring and cross country skiing and ski touring in the winter. I think it’s important to recognize how many miles a week you can handle and stay healthy. More is not better. I will never be a 90-100 mile a week girl and so I add in other activities. My coach also has us do a prehab routine. This includes flexibility and mobility exercises for our hips and hamstrings and a killer lunge matrix and core routine.